This policy sets out how The Good Dog Guide uses and protects any information or data that you provide us. The Good Dog Guide is committed to ensuring that your privacy and data is protected. Should we ask you to provide certain information by which you can be identified when using this website, then you can be assured that it will only be used in accordance with this privacy statement. The Good Dog Guide may change this policy from time to time by updating this page. You should regularly check this page to ensure that you are happy with any changes. The Good Dog Guide does not store or intend to store any credit/debit card numbers or any other financial detail. We use the text services of FastSMS to enable us to send you a text alert advising when we have sent you an email. The text will be sent directly to your mobile phone and include your email address. We only send text messages if you have provided us with your mobile number. If you require your listing, business or personal details to be removed we will do so at your request. This information will be passed to the listed business whom you wish to make the enquiry to. 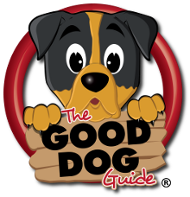 Your name, comments and rating will be visible on our website, we will not show your email address or share your email address with the business or other visitors to The Good Dog Guide, unless we are required by law to do so. All the information we collect will be stored on our server. We will not sell or lease your personal information to third parties, unless we are required by law to do so. If you believe that any information we are holding on you is incorrect or incomplete, please email us as soon as possible at info@thegooddogguide.com. We will promptly correct any information found to be incorrect. The Good Dog Guide Limited. Registered Office: Amelia House, Crescent Road, Worthing, BN11 1QR.